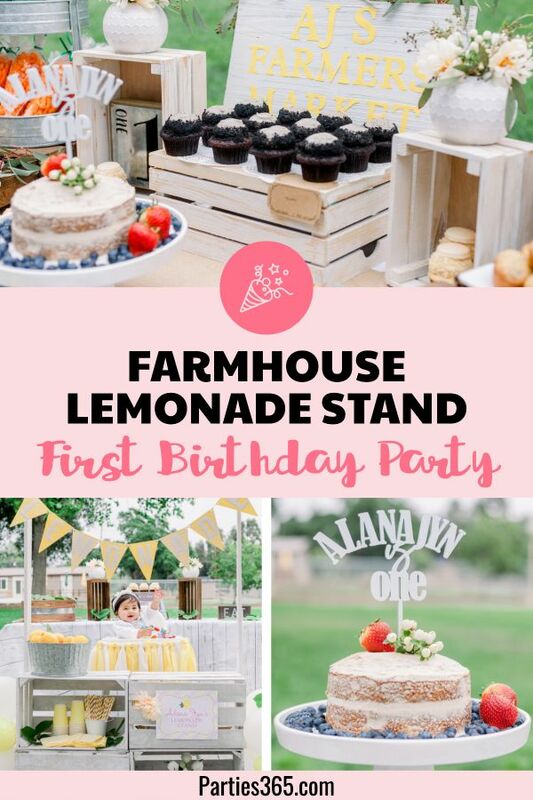 The traditional quinceañera celebrates the milestone of a girl turning 15 and honors her transition from childhood to young womanhood. 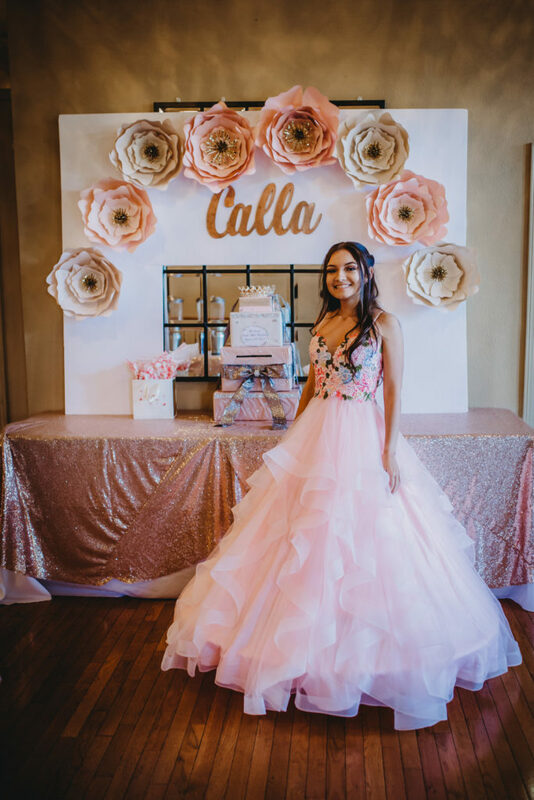 Today we have the privilege of sharing Calla’s lovely Quinceañera with you! 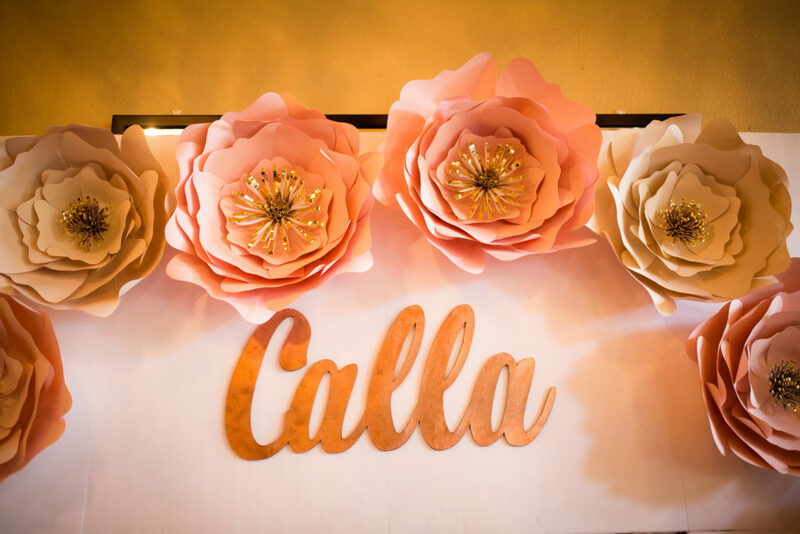 From the sparkling tablescapes to the ornate paper flowers and stunning dress the guest of honor was wearing, you’ll love all the beautiful details from this special birthday party! 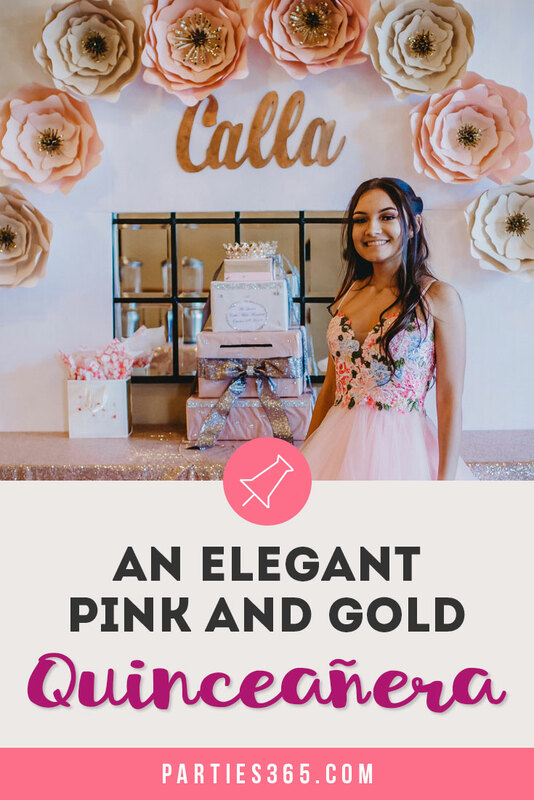 A mother’s fondest wish is to see her daughter transform from a happy child into a confident young woman and when Calla turned 15 years old, her mother Molly Monsivais, threw her an unforgettable Quinceañera. 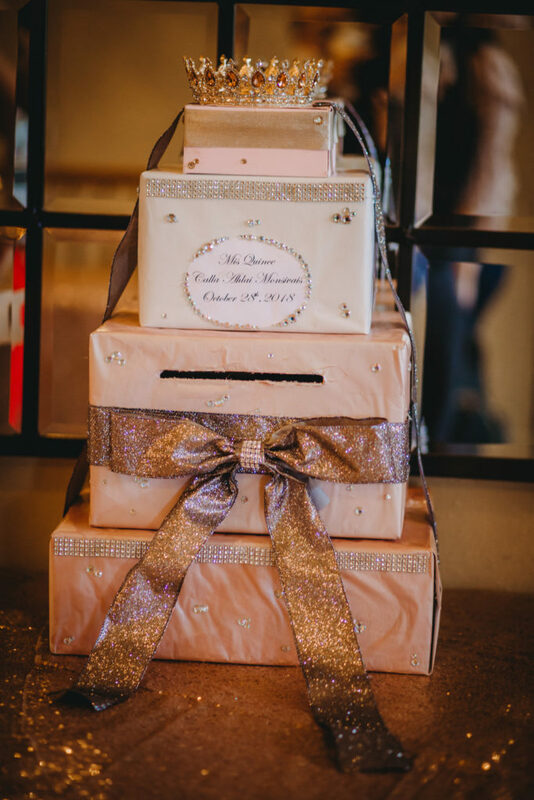 Family and close friends gathered at Vacaville Opera House in Vacaville, California for a special evening of celebration. 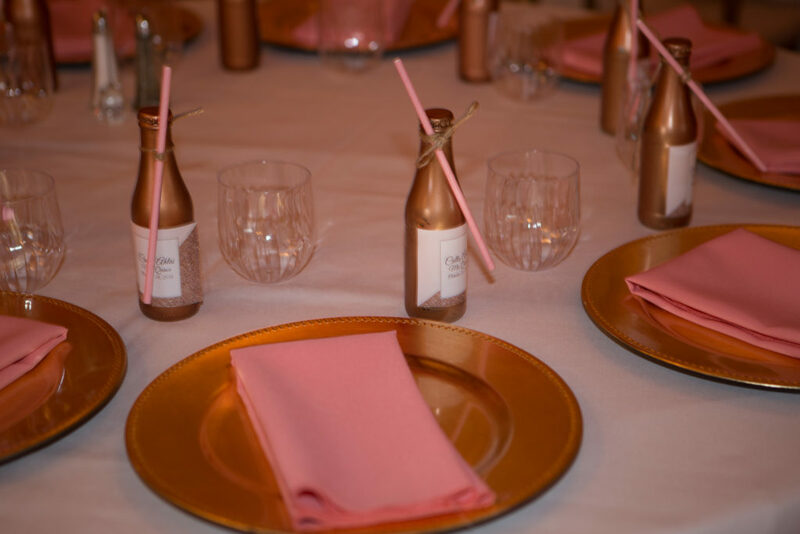 The decor and theme for the evening consisted of lovely pinks and golds. 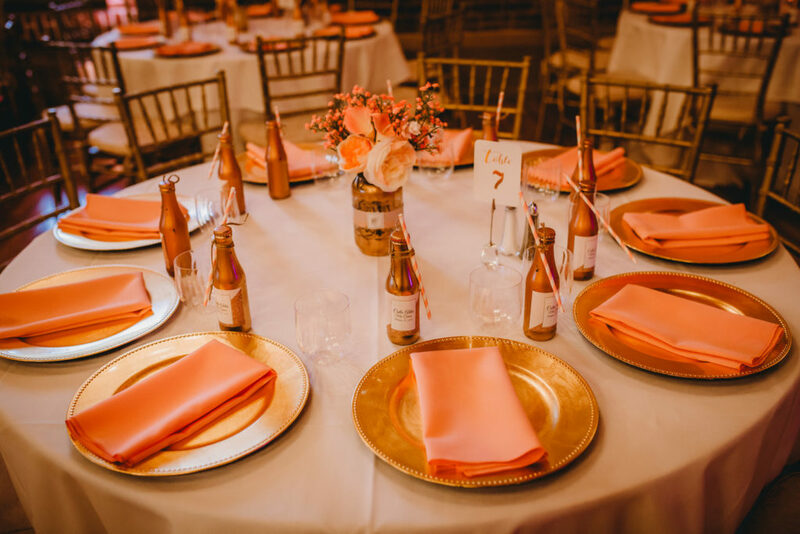 The tables at the venue were set with large gold charger plates topped with pink dinner napkins. A simple elegant bouquet of flowers, hand arranged by the mother, grounded the center of each table. 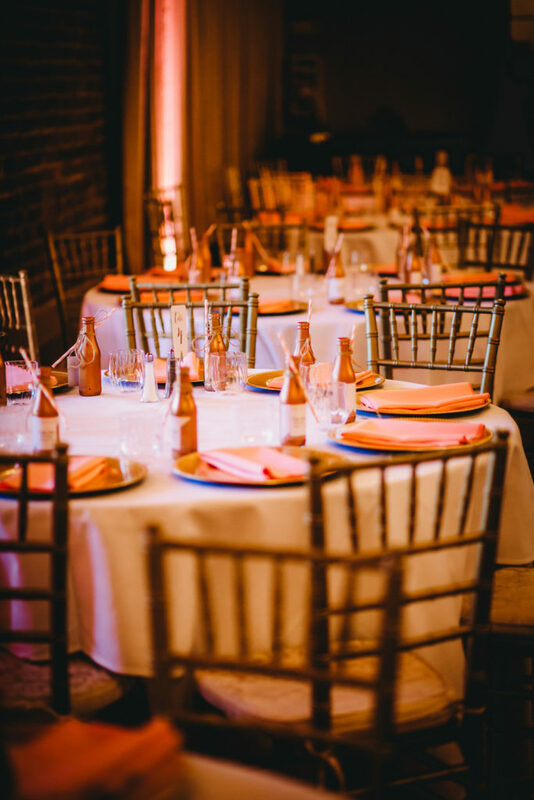 Each place setting also featured a bottle of blood orange Aranciata Di Sicilia soda. 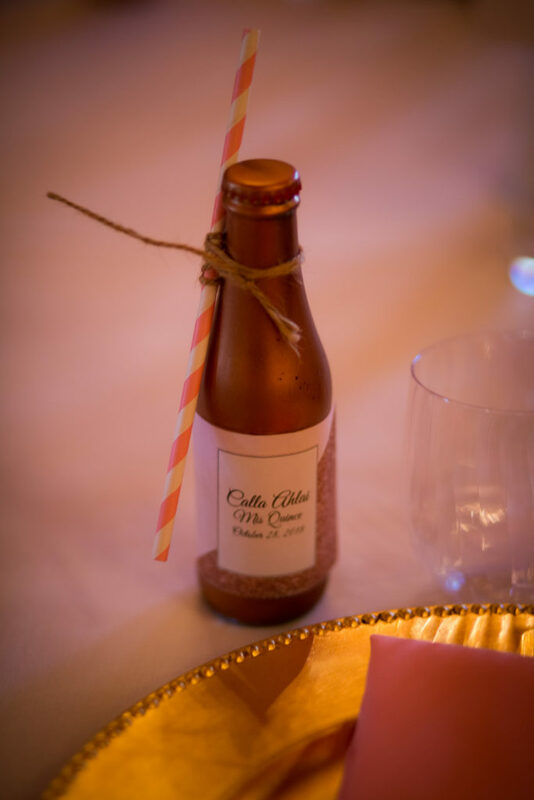 Calla’s mother Molly stepped up the design of the bottles by spray painting them gold and adding custom labels, and pink paper straws tied on with twine. 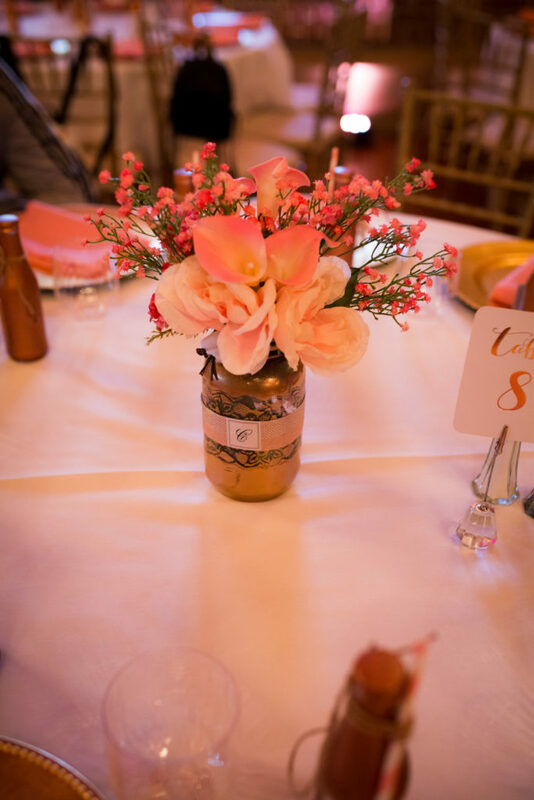 Her mother also put together the floral arrangements by combining her daughter’s signature flower, the calla lily with peonies and other pink flowers in a lace mason jar, wrapped with Calla’s monogram. Let’s talk about the birthday girl for a minute shall we? How stunning is she in her Camille la Vie dress? We love the floral bodice and soft pink ruffled tulle skirt! 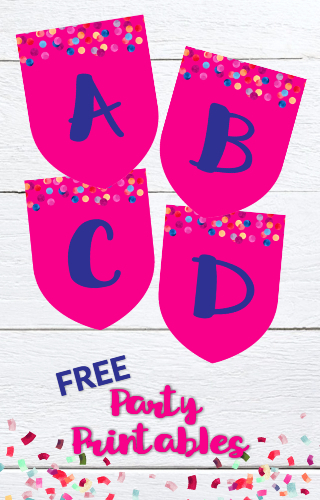 The party’s feature gift table is beautiful too and a simple DIY project you can recreate! The stunning paper flowers in different shades of pinks and cream really make an impact on the white wall in an arch like this. The birthday girl’s name in gold looks elegant above the gift card holder too. 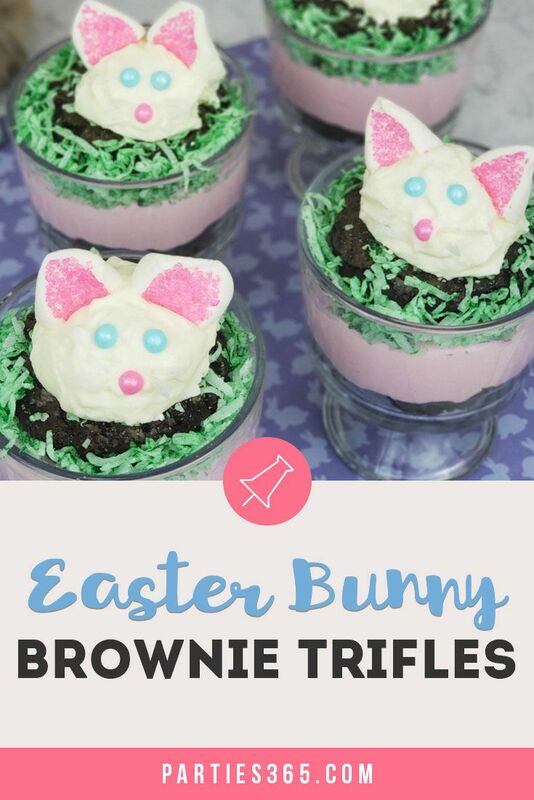 We can’t forget the cake, can we? 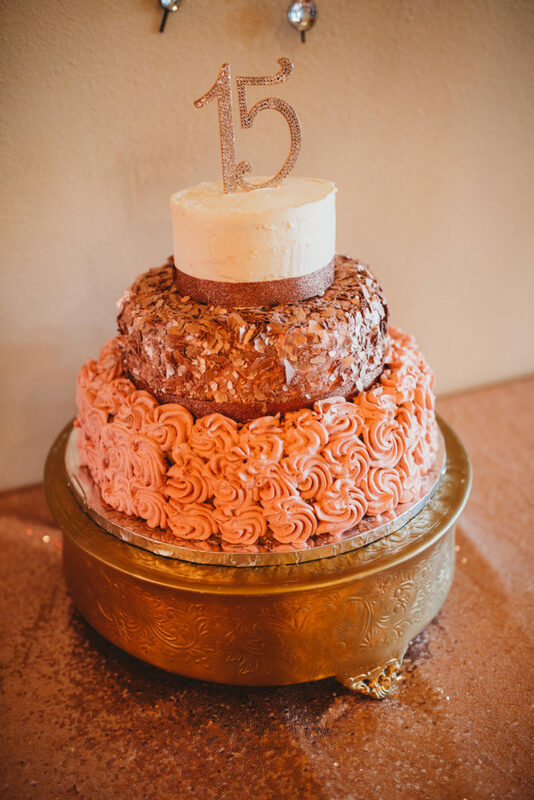 This beautiful pink and white three-tiered cake, topped with a glitter “15” cake topper was made by Pure Grain Bakery. 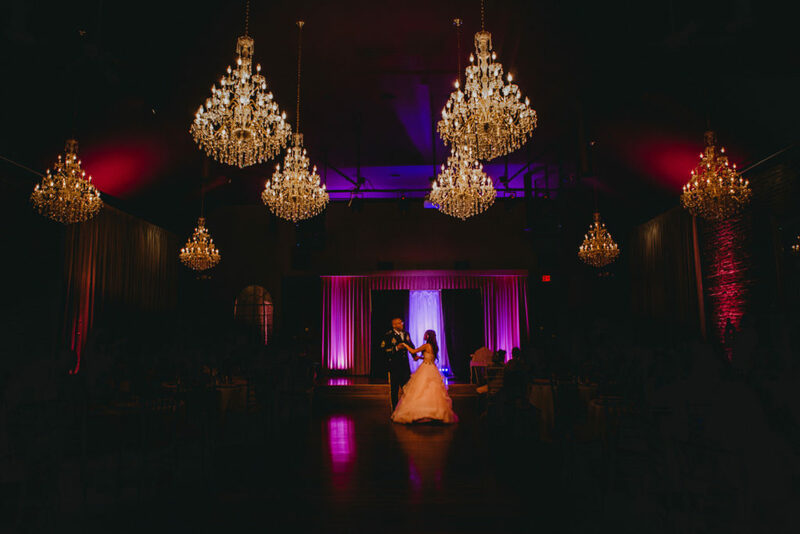 Finally, a Quinceañera wouldn’t be complete without a father daughter dance and this one was a highlight of the party! This evening is sure to be a cherished memory for Calla and her family and friends! 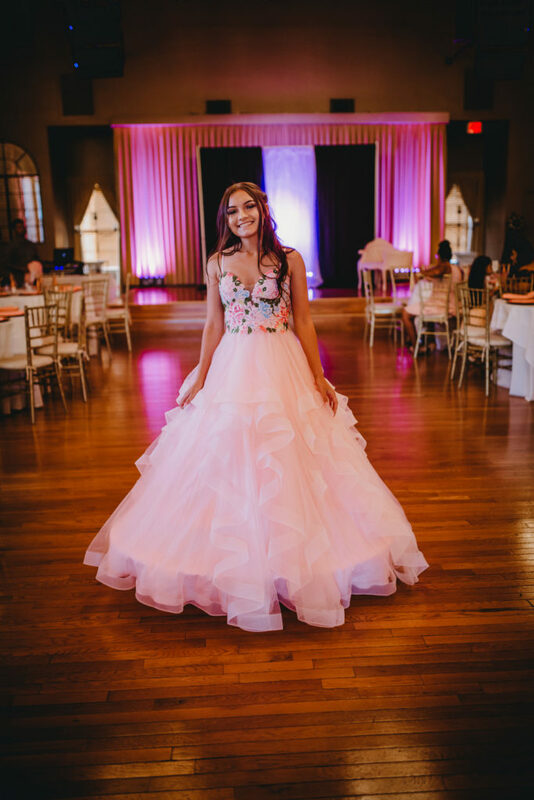 This delightful quinceañera’s decor was centered on the birthday girl’s namesake flower and delicate pinks and whites. 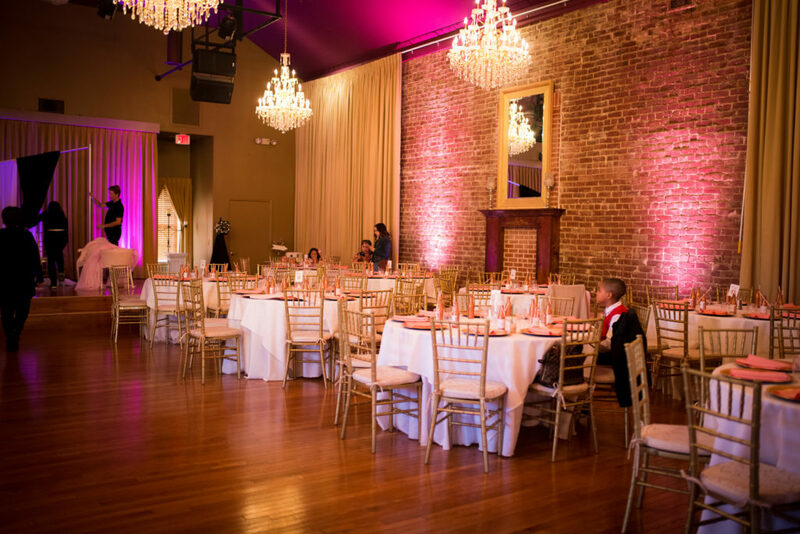 Sometimes simple party themes are the most elegant and impactful! 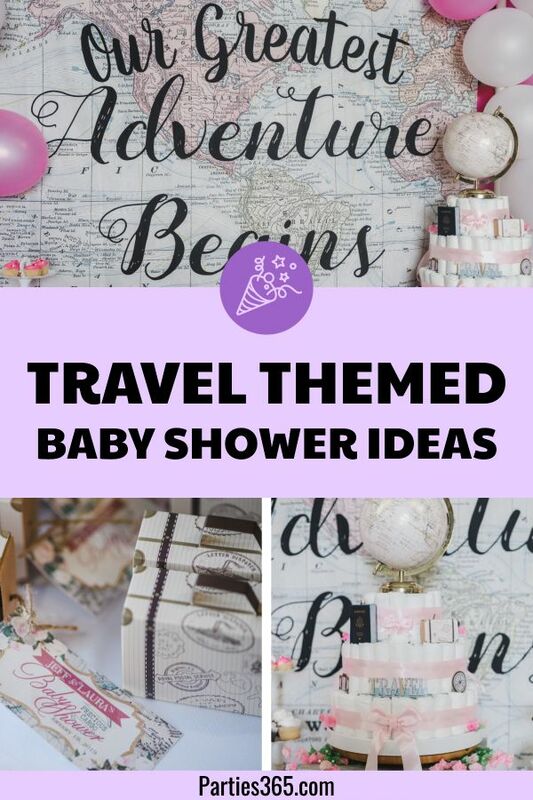 We hope you gathered some inspiration for your next party!